Scenario 1)	Warming with NO change in ocean mixing: It this case, surface warming is gradually mixed downward in the ocean, leading to warming trends that are a maximum at the ocean surface, but which decrease exponentially with depth. Scenario 2)	Warming with a SMALL increase in ocean mixing. This case will result in weaker surface warming, and slightly stronger warming of the deep ocean, both compared to Scenario 1. The warming still might decrease exponentially with depth. Scenario 3)	Warming with a LARGER increase in ocean mixing. This case could lead to an actual surface temperature decrease, but warming of the deep ocean, similar to what I believe Trenberth is claiming. Finally, as I have mentioned before, even if increased rate of mixing of heat downward is to blame for a recent lack of surface warming, the total energy involved in the warming of the deep oceans is smaller than that expected for a “sensitive” climate system. Plots of changes in ocean heat content since the 1950’s might look dramatic with an accumulation of gazillions of Joules, but the energy involved is only 1 part in 1,000 of the average energy flows in and out of the climate system. To believe this tiny energy imbalance is entirely manmade, and has never happened before, requires too much faith for even me to muster. This graph of NOAA data shows a relative flattening in global OHC (700m) after 2003, which suggests a 5-year lag following the near-surface atmospheric temperature flattening commencing in 1998. Do you agree with this assessment? A 5-year lag seems rather short for the mechanism you describe. Also, the Basin data show that the Indian ocean (700m) has heated far greater than the Pacific and Atlantic. How would you explain this? Very helpful post, thank you Dr Spencer. Yes, very insightful post, Roy. 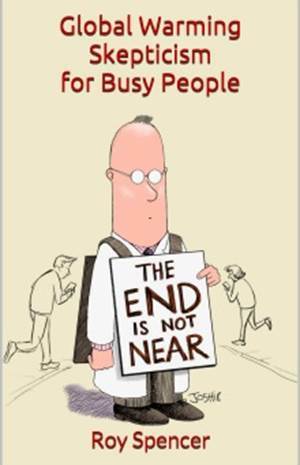 The key as I see it is the time rate of response itself is completely independent of the direction of the feedback. Mind you, I fully understand that if the feedback is net positive, the time between the initial forcing and the final temperature change would be quite a bit longer. Longwave infrared from greenhouse gases only penetrates water a few microns to cause evaporative cooling of the ocean skin. The oceans could only warm due to greenhouse gases by a decrease of the temperature gradient between the atmosphere and ocean surface. Even RealClimate admits this and data posted there indicates a doubling of CO2 might only heat the oceans 0.002ºC at most. 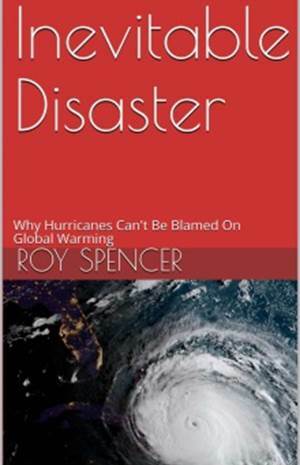 I’m sorry Dr Spencer, but like so many others on this subject all you have done is address the theoretical possibility of transmission heat WITHIN the ocean (mixing). You have failed entirely to address the REAL issue, which is how this “atmospheric heat” actually gets FROM the atmosphere INTO the oceans in the first place. Between two thermodynamic systems not in equilibrium there can only be a NET transfer of energy in one direction – from the system of higher energy to the system of lower energy. While it is possible for there to be all sorts of cross-exchanges at a molecular level, the NET (sum total) transfer can only be one way. So, either the NET sum is that the atmosphere is losing heat to the oceans, or the oceans are losing heat to the atmosphere. The atmosphere cannot be “warming” the oceans at the same time as the oceans are losing heat to the atmosphere. So which one is it? Well, if I look out my window I can see clouds. Clouds are the very visible manifestation of a NET energy transfer FROM the oceans TO the atmosphere, via evaporation. For as long as there are clouds the NET energy transfer is FROM the oceans TO the atmosphere. I’m not bringing this up simply to be churlish or pedantic. The Trenberth paper being commented on above simply assumes a transfer of atmospheric heat (NOT back-radiation) FROM the atmosphere TO the oceans without ever explaining the “how”. There has been a plethora of “peer-reviewed” papers in the last couple of months, all based on the same, as far as I can tell, impossible assumption. “As you know, 90% of the man-made warming in the atmosphere finds its way into the oceans”. 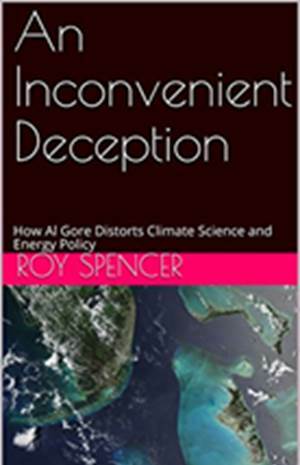 “90% of anthropogenic warming ends up in the oceans”. “human-caused atmospheric warming is transmitted to the oceans”. All this is reported as “fact” by the MSM, and ignored by people like yourself, Dr Spencer, while you engage in mental exercises like the above post, which, in context, amounts to nothing more than a discussion on how many angels can dance on the head of a pin, relatively speaking. And still, out my window, I can see clouds. In my journey through Lilliput, Brobdingnag, Laputa, Balnibarbi, Luggnagg, Glubbdubdrib, Japan and the Houyhnhnms, I have seen many wondrous things. Thus in the Grand Academy of Lagado, great resources and manpower are employed on researching completely preposterous schemes such as extracting sunbeams from cucumbers, softening marble for use in pillows, learning how to mix paint by smell, and uncovering political conspiracies by examining the excrement of suspicious persons. However, I can now add to this litany of failed science Climate Alchemy, a new science which I entitle a ‘sceance’. Thus I did see with great wonder Professor Transbearth claim a magickal from of threemodynamucks which claimeth heat transfer is possible from a colder atmosphere to the Earth’s surface by ‘back radiashun’, clearly the emission of said moonbeams. And I was astonished to find numerous Professors of physicks even who imagine that the Stephen-Boltswoman equation for a single body predicts this emission as a futon stream all the way from Japan and that these can heat even a warmer object, obviously failing to know basic radiashun physicks shows heat transfer is the negative of the divergence of the monochromatic flux density vector. Thus heat can only be created from the annihilation of electromagnetic energy, the integral of the difference of the monochromatick potential energy fluxes at a point in space over all wavelengths, the difference of the Stephen-Boltswoman equations. The potential energy flux is the maximum power that could be emitted from a body to a sink at absolute zero. To claim the Earth’s surface emits a real energy flux at this rate would require an equal input rate. The real average solar input is 40% of this rate. Therefore, only that average combination of heat energy via convection and evapo-transpiration, plus radiashun can be emitted. ‘Back radiashun’ is of course another potential energy flux; the radiation field from the atmosphere to the surface vanishes completely at the surface, apart from the thermal incoherency ripple, probably damped by polar molecules. But wonder upon wonder, Professor Transbearth hath invented another branch of radiation physicks even more incredible than the moonbeams. This is the missing heat in the oceans. Incredibly, he has claimed a way to unmix salt and water as the moonbeams penetrate the oceans. And at some time in the future, the oceans will suddenly mix again, and the negative partial molar enthalpy of mixing of vast quantities of salt and water will emerge, causing immense evaporation which, because it will not form clouds will suddenly increase global warming. I say to thee Dr Spencer, please read the chemical thermodynamics of such mixing [Lewis and Randall is my tipple], also study the UNESCO Equation of State for water. PS Professor Peterhumbolt of the University of Hecan’tgo has invented an alternative to ‘back radiashun’. Instead of the depressed signal of dioxide of carbon being self absorption as the electromagnetick energy is produced at 260 °K where convection changes to radiashun, this depression is caused by the downwards’ emission of said moonbeams, and it doth heat the surface. Oh my! Heat is “missing.” No, it isn’t. End of a very short (and intellectually very silly) story. But don’t expect people to stop telling and retelling it. flow from the system of higher energy into the system of lower energy. What it does is tend to flow from places of higher concentration of heat energy to places of lower. Heat up a needle point in a gas flame and stick it into your thigh. There is far more heat in your thigh than in the needle point – but I think we know which way the heat in the needle point is going! What would happen to climate if over the course of 1 month all ocean water below the depths of say 1 kilometer was pumped to surface. ( pumped at constant rate ). Of course this is just a theoretical question. Assume water is basically pumped straight up with thousands of pumps distributed evenly around the oceans. It would be a La Niña on steroids. SST would plummet ~20°C in many places, with huge impacts in the tropics and smaller impacts on very continental climates. Polar ice caps would grow much bigger for at least one season. Of course it’s not an equilibrium state and in maybe a year everything would be back to almost normal, probably with stronger El-Niños for some longer time. Not so fast- the energy use required to pump that much cold water to the surface would release colossal amounts of waste heat. We’re talking huge volumes of water transported here. And, how does that water sink in the first place? By being colder and saltier than the water below. And, how long does that circulation take? Typically hundreds of years. I do not see how this can be plausible. I have never seen any figures regarding what rate energy would move upward in oceans if there was no convection. Pressure must create a net force upwards on any water that is not at the temperature at which it is most condensed. because the thermal energy is kinetic. With changes in depth, the percent change in total pressure would not be directly proportional to the percent change in depth. Therefore, it would seem, upward forces should be different at different depths. Of Course dynamics may be different in a huge liquid system that has several factors determining movement, and this force may be insignificant. So is this a foolish consideration? Insolation is directly pentrates tens of meters deep in the visible range and more than 100 meters deep in the UV range, leading to direct heating of the near-surface layer–independent of any mixing. Since wave motion is largely irrotational, it is the turbulent eddies produced by wind stresses that result in relatively homogenous temperatures in the well-mixed layer, which seldom exceeds 100 meters. The thermocline is typically <50m in the tropics. Infrared radiation, on the other hand, is absorbed within tens of microns of the surface, leading to profound evaporation of the surface "skin," which scarcely has an opportunity to be mixed downward. Evaporation, which is the principal means of heat transfer to the atmosphere over the oceans, increases sharply with both temperature and with wind speed. Thus any increase in near-surface mixing would be accompanied by an increase in evaporation, with a net cooling effect upon surface temperatures. The formation of hypersaline surface waters that sink in the polar regions to form bottom-waters (THC) is orders of magnitude less important to oceanic heat transfer than the wind-driven hemispheric circulation. It really doesn't belong in any serious scientific discussion of observed surface temperature changes, but is resorted to by those who patently cannot reconcile their expectations with observations. Heat entering the depths of the oceans by whatever mechanism is forever lost within the entropy driven world of millennium timescales. You will not see it unless the next ice age proceeds. In that event it will serve to moderate. Roy… I think your cartoon has an error. Both grey arrows representing circulation in the tropics should have their pointy ends at the bottom. The SH arrow has it at the top suggesting down-welling, which would be the opposite of the NH. It isn’t correctly representing the Coriolis effect. My pet theory on how the heat is going missing is that an increasingly energetic climate system is causing an expansion of the Coriolis circulation and carrying the tropical heat deeper into the ocean. A couple of years ago I looked at the gridded ARGO data (all 6 years worth!). My amateur interpretation of the results was consistent with my theory. I am disappointed in the very generic analysis of how wind mixing can drive heat to great depths. I certainly accept heat can be driven to lower depths, but where and how are critical factors. In the polar regions any wind mixing brings the warmer subsurface waters to the surface as Shimada 2006(?) demonstrated. In the eastern Pacific during La NIna conditions wind turbulence brings cooler waters to the surface. So in both those locations I do not see any heat being delivered to lower depths. Mode waters formed by high evaporation and high salinity sink to lower depths and then re-emerge during the winter and the winds ventilate the heat. Most mode waters do not sink to the 700 meter depths. So I find it very hard to accept Trenberth’s theoretical explanation of warming at those depths as anything more than a convenient scenario to explain an in convenient cooling. However Trenberth does mention that the positive PDO ventilates heat via El Ninos and a negative PDO tends to absorb heat as the clear skies over the eastern Pacific absorb more heat during a La NIna. I think that is a valid point but that absorption and ventilation mostly affects water at shallower depths. HOwever Trenberth’s assertions suggest a natural experiment will soon unfold. When the PDO shifted negative in the 1940’s solar heating was peaking at the greatest values in centuries. The El Ninos of the 80’s and 90’s then ventilated much of that heat as Trenbeth alludes to. The PDO is now returning to the negative heat absorbing phase but solar heating is now approaching a century low. If it was CO2 that was warming the oceans, then the next cycle of the PDO and El Ninos should exceed the 90’s. If solar was the primary heat source, then the temperatures will be lower. The next 20 years will be telling. The trend since 2004 could be positive, as the numbers in 2002 and 2003 look very high. Trenberth would be a lot easier to believe had this been a prediction instead of a post-diction used to plug holes in a sinking theory. As it is, i’m not sure there is much difference between positing there is a little demon shuffling energetic water molecules into the deep ocean. Just to show how enormous and powerful eddies can be, here is an animation showing very warm water (+20 C)transported down to 700 m in the Atlantic. Some of the eddies reach even 1000 m down. It seems you might look at the LOD data to see if there is a correlation with your hypothesis. I am not saying there is or is not one, just that it might be interesting to look and see. Again I have not doubt that in some areas heated water can be transported to lower depths. However your link tells us nothing about about trends in that transport. From your linked video at 700 m depth tropical waters from 10 S to 10 N show very cold water. The down welling of heated water happen the subtropical gyre where it is well understood that Ekman pumping will push heated waters from the western boundary currents into the gyre. The questions is has the pumping increased? Trenberth only provides a very general theoretical framework, as he always does, to suggest CO2 can cause everything from warming to cooling. Good science dictates a more specific and testable hypothesis. A generic response of wind speeds or suggesting heat can be transported lower tell us nothing about what is happening. If polar and subpolar winds increase they will ventilate the heated waters that has been subducted. 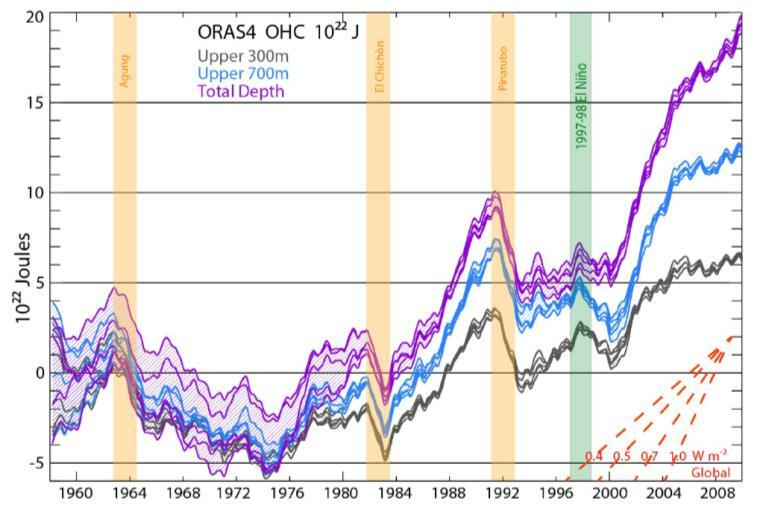 For most of the world’s oceans the mixed-layer depth is less than 100 m and most Argo data shows that the upper 300 meters have cooled since 2003,( see Xue 2012 “A Comparative Analysis of Upper-Ocean Heat Content Variability from an Ensemble of Operational Ocean Reanalyses”.) A wikipedia map shows that most of the deep mixing happens in the northern hemisphere subtropical gyres and even more so in polar waters. http://en.wikipedia.org/wiki/File:Mixed_layer_depth.png. The transport of heat and mass is greatly affected by the winds. Gyres spin up and down and climate indices like the North Atlantic Oscillation reflect pressure differences that drive the winds. A NAO that is retreating to its negative phase suggests less transport, less Ekman pumping, and less heat being driven to lower depths. I also suggest reading Fate of Early 2000s Arctic Warm Water Pulse by Polyakov 2011. He has nice graphics illustrating intrusions of warm water at depths of up to 500 meters. However it is clear that those warm waters are eventually ventilated. In fact theory would suggest that the increasing annual Antarctic sea ice, and due to summer melt the increased formation of Arctic ice that the cold brine produced from ice formation is carrying colder waters to the abyss.Furthermore surface waters penetrate to greater depths during the winter when storms are more frequent and colder waters disrupt the thermal stratification. Again I am very disappointed that Dr. Spencer would simply agree that Trenberth’s suggestions are theoretically possible. Yes they are possible, but the weight of evidence suggests that emphasizing what is simply possible detracts from the evidence that suggests Trenberth is just trying to salvage the CO2 theory and ocean and global temperatures are now cooling. I think I’ve posted a couple of times propositioning this possibility and asking whether this was possibly the driver in surface temperature trends increasing or decreasing. To be important, we’d also need a reason heat would stop going to the deep ocean. The word to use is probably “plausible”. There is no “missing heat.” You can measure the heat in deep ocean not by thermometers at shallow depths < 700 m but by change in sea level. The ocean is a gigantic natural thermometer. Sea level rise when warmed and fall when cooled due to thermal expansion and contraction of seawater. Thermal expansion can explain all your three scenarios. It doesn't matter at what level sea temperature is changing. Seawater will expand when heated whether at the top or bottom of the sea. It will manifest as a change in sea level. Is sea level rising or falling in the last 10 or 20 yrs? That will answer your "missing heat." Well, what do you know, new equipment comes on line and energy does a missing act. If you look at their panel A it shows that in five years since the introduction of the floats, eighty percent of energy has disappeared. Most of it is apparently ocean heat content, something that is physically impossible. If I had been the reviewer this paper would never have been published. I would have sent them back to checking the floats and learning how they operate and told them to do their homework before rushing into print with half-baked claims. there is a difference between an excuse and an explanation. Trenberth more the former than latter – and needs to explain the why this ‘process’ has only now just kicked in…. im not buying it.